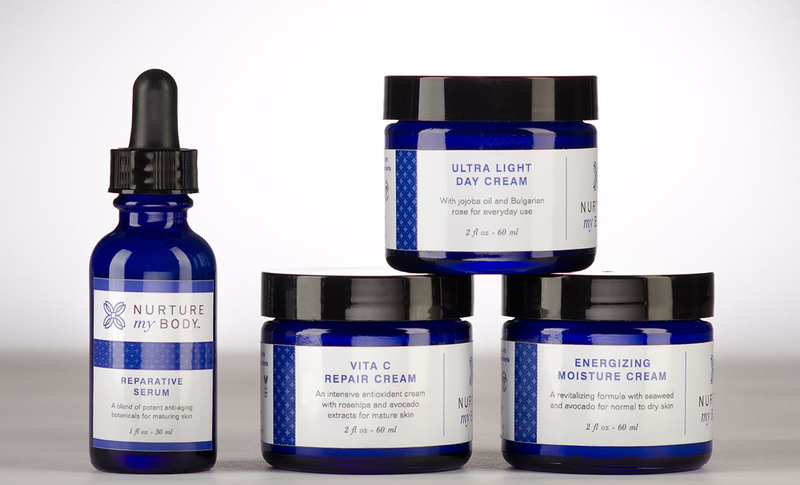 Reimagining a health and beauty brand that is as radiant inside as it is outside. Every so often you encounter a company that produces products that are just plain better than the rest: exceptional performance and good for your health and spirit. This is the story of Nurture My Body, a health and beauty brand producing a wide spectrum of skin, hair, body, lip care, and baby care products. Initially developed to sidestep the effects of the harsh chemicals present in mainstream beauty products, Nurture My Body products are all handmade in the USA with ingredients that are plant-derived, certified organic, not tested on animals, phthalate-free, Vegan safe with gluten free choices, and packaged with eco-friendly materials in glass or BPA-free plastic bottles. Leaning on our specialization in sustainability communication and our vast experience with natural products, Domoto was delighted to help develop a new brand identity as well as cohesive packaging for the entire line of Nurture My Body products, including the baby care line as well as all scent variations. After vast competitive benchmarking and research, Domoto Brands, working closely with company leadership, developed a sophisticated brand identity, a signature brand pattern, diverse color ways, and packaging design for all products in all form factors in order to promote a family appearance. 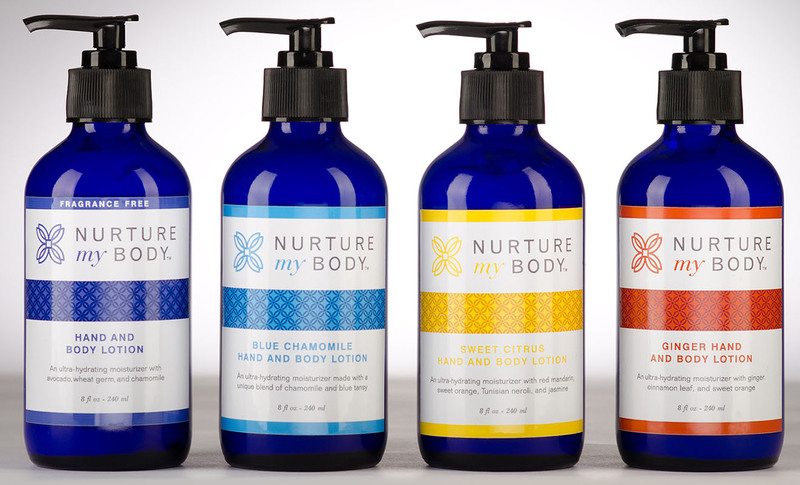 Domoto also designed sales and marketing collateral to support the brand and tell the Nurture My Body story.